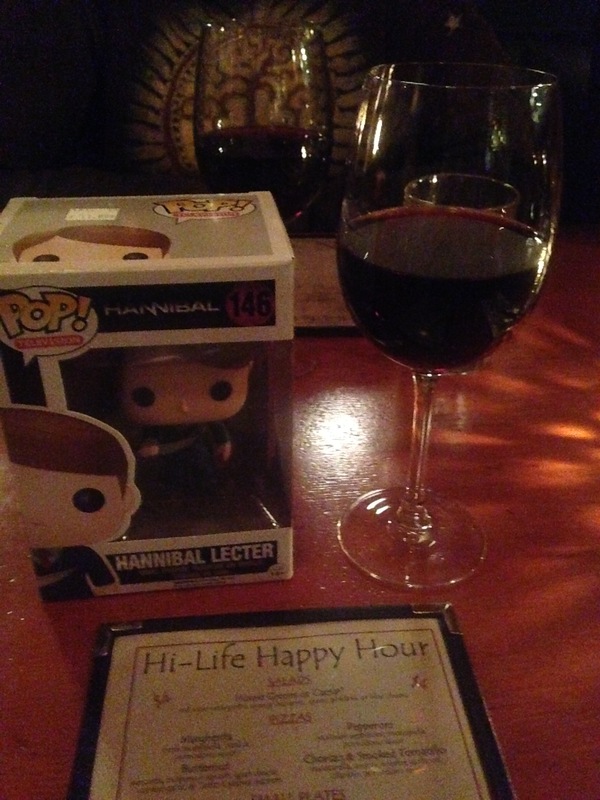 My birthday was this weekend, so to celebrate I bought myself a Tiny Hannibal Lecter, NBC show edition. I intend to pose him in various situations and take silly picture for my own amusement, and sometimes I’ll use them as a lazy post when I can’t be bothered to have strong opinions about things. 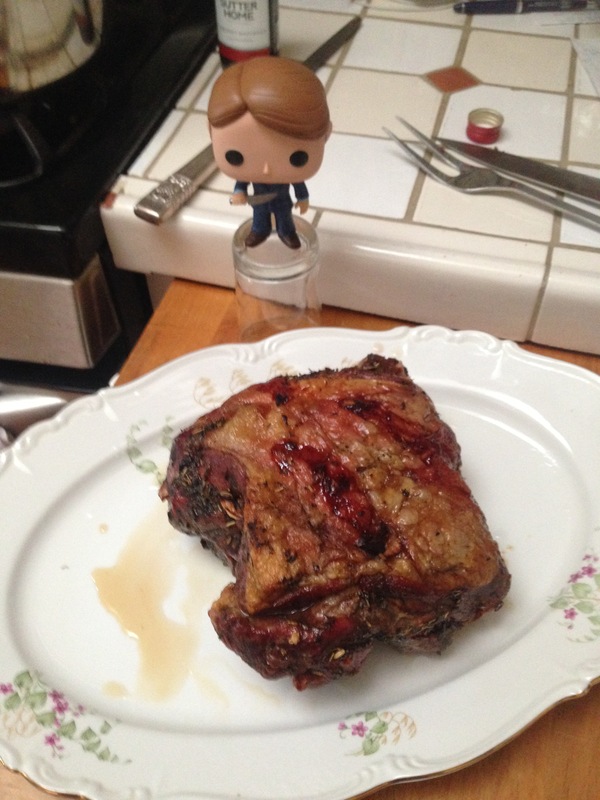 Tiny Hannibal stands over his master carving skillz. 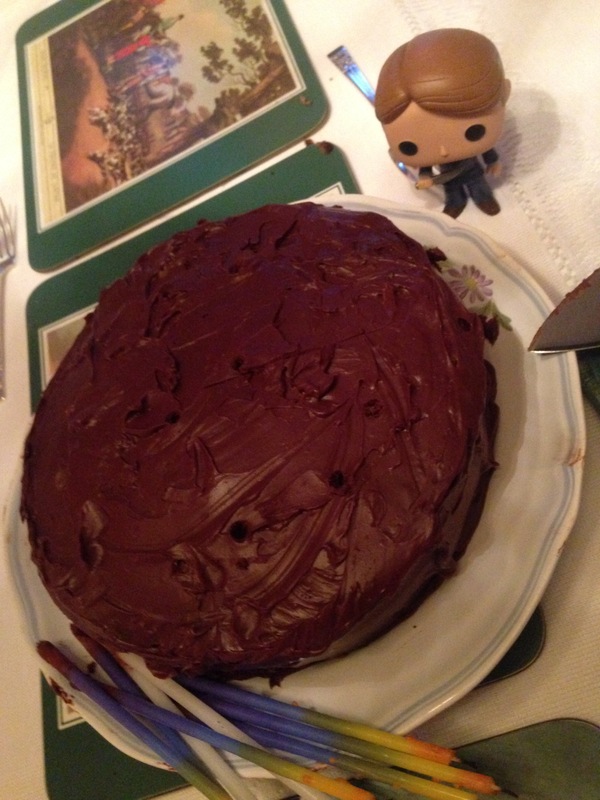 Then, of course, there was the chocolate cake. 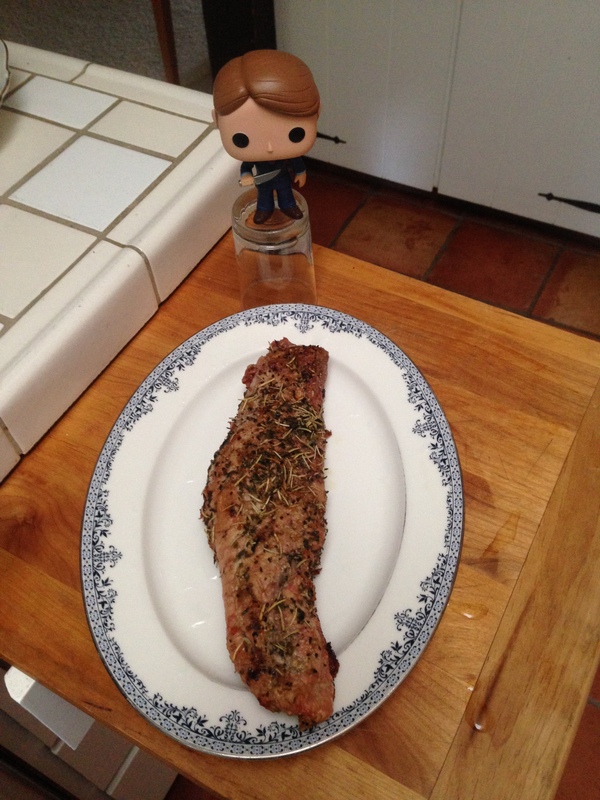 I’ll let your imagination run wild with what might be baked into it. 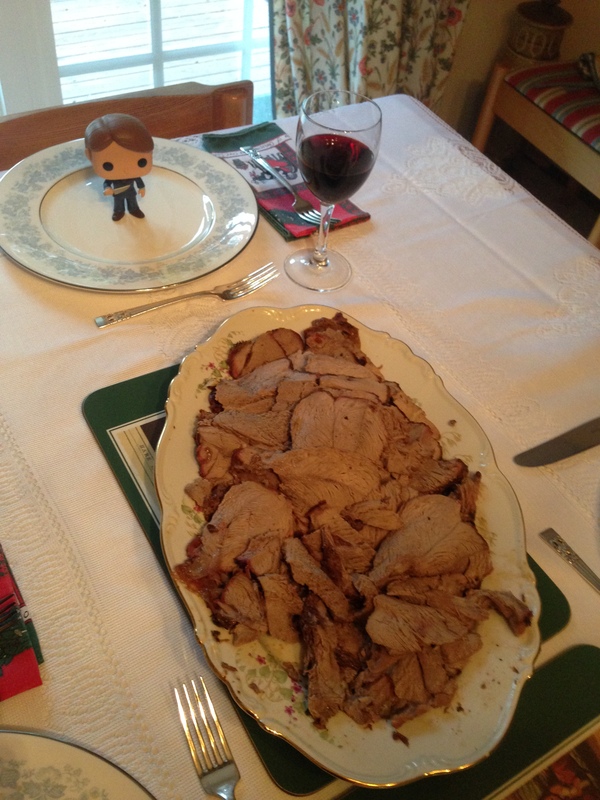 Next up (probably): Tiny Hannibal does Christmas. Happy Holidays, whichever you celebrate!